Our offerings are going very fast. Please Contact us and make your reservations today. 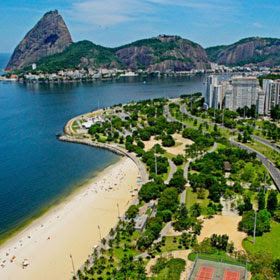 ATISPORTS have a comprehensive list of stays and Hotels in Rio de Janeiro. Below is some information about where these Hotels and Stays are located with a brief description for each location. Our services includes Corporative and Private Hotels, ApartHotels, Hostels, Bed and Breakfast and Residential stays.